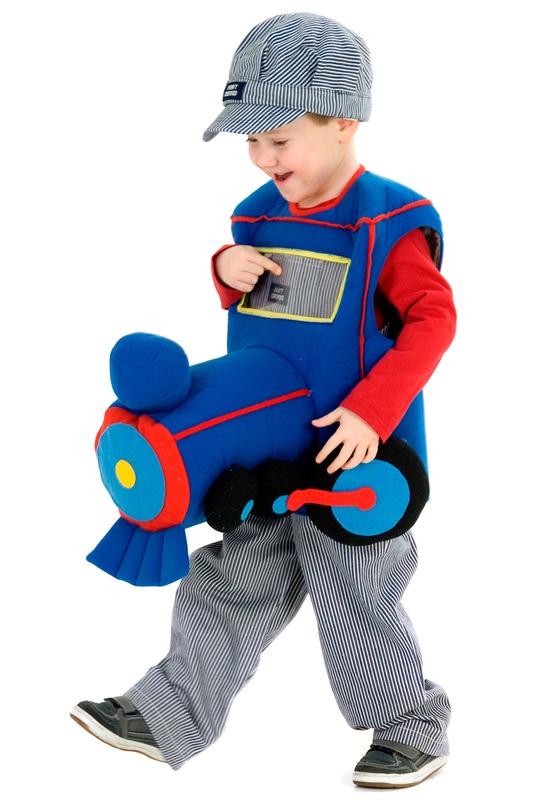 Your young train lover will have fun in this Plush Locomotive Costume for Halloween! 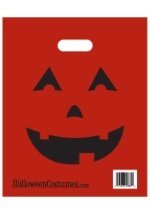 It's a tunic of blue polyfoam, decorated with red piping and edging, with a back opening fastened with Velcro™ strips. On the front is a stuffed cylinder of the same blue polyfoam to resemble the engine compartment. The front of the cylinder has concentric circles of red, blue and yellow, and there is a quilted polyfoam "cow-catcher" sewn to the bottom. Along each side are three black stuffed wheels. There is a stuffed blue "smokestack" on the top. Above the cylinder on the front of the tunic is an inset rectangle of clear plastic to resemble a window; it's edged with yellow felt. The costume also includes a blue-and-white-striped woven twill engineer's cap that is lined with white broadcloth. There is elastic in the back of the hat band for comfortable fit. This train is coming 'round the bend!